Torch is a portable torch with a directed flame is used for heating parts. This device is widely used in everyday life, therefore, it is likely that the lamp may break. To repair this device you can even at home. Each tool used in the home, has its own "Achilles heel". The most common faults blowtorch attribute the failure of the pump, which pressurized the tank with fuel, and the clogging of the nozzle. Some are less you can encounter with malfunction of valves. Carefully inspect the soldering lamp and identify the malfunction. If possible, find out the cause that led to this failure. If after opening of the valve fuel dripping or bubbling, but not served properly, then the problem is rooted in the nozzle. Clean a needle is a calibrated orifice. If the result is not, then clean this constituent element of the portable burners have a little bit different. Remove the nozzle and try again to clean it. Then insert a thin wire into the fuel tube, open the valve and flush the channel with petrol. After done procedure to install the nozzle into place and lock it. 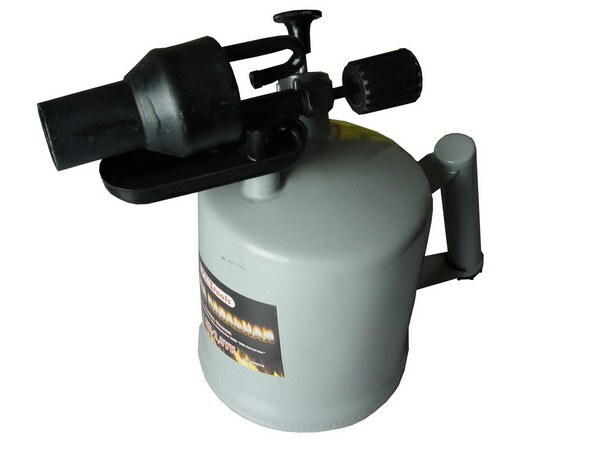 The fault blowtorch may occur that during operation it is audible hiss or other noises. The problem in this case is rooted in the faulty pumping device. To resolve the malfunction associated with the work of pumping the device, Unscrew the cap and pull the pump out. Remove the spool that is on the pump valve, clean the burner subassembly from contamination and replace the spring. Coat the cups on stock motor oil. If during operation a blowtorch from under the rod begins to glow with a flame, extinguish the fire, and then remove the handle of the valve and tube and then adjust stuffing box suction needle. Observe safety rules during operation and repair blowtorch. If the status of the cuff on the rod is unsatisfactory, be sure to replace it with a new one.